Two years after our first trip to the Himalaya, Alan and I have returned for another round of testing ourselves against the world's biggest mountains and soaking up the amazing culture that comes with climbing in Nepal. We busily made our final preparations in Kathmandu and, as of the time you are reading this, are well into our six week off-the-grid expedition. 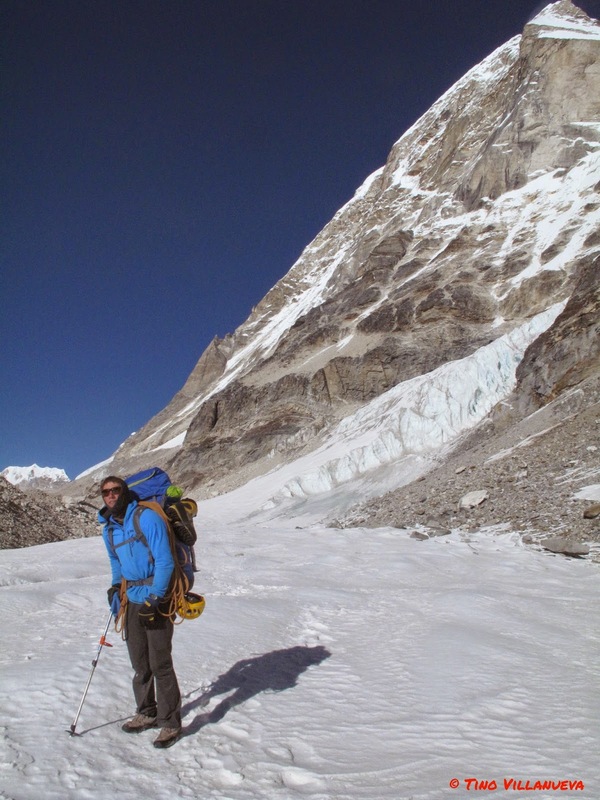 Gauri Sankar, and our first stop during the trek into base camp. Departing on these expeditions is always a mix of emotions. Excitement for travel and exploration, missing family and loved ones, and apprehension of the unknown. However, having spent time both in Kathmandu and the Rolwaling, where we are returning, in many ways this trip feels like seeing an old friend that has been fondly missed. And, in fact, we are looking forward to seeing many of our Nepali friends as we travel up the Rolwaling Valley through the villages of Beding and Na. It is funny to be looking forward to traveling up the Rolwaling Valley again, a route I swore to avoid in the future. During our previous expedition we loaded ourselves with 80 pound backpacks and ventured up to Tengi Ragi Tau self-supported. Traveling over the "rock glacier" (loose rock on top of bulletproof ice) was so miserable that I told Alan, "you could not beat me with a stick to go this way again." And yet here we are. 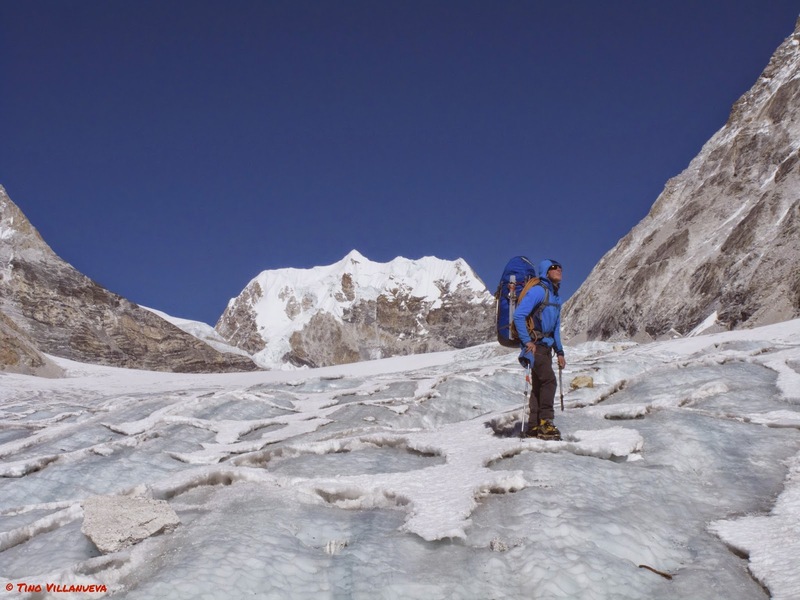 Heinous travel up the "rock glacier" on the approach up the Rolwaling Valley. 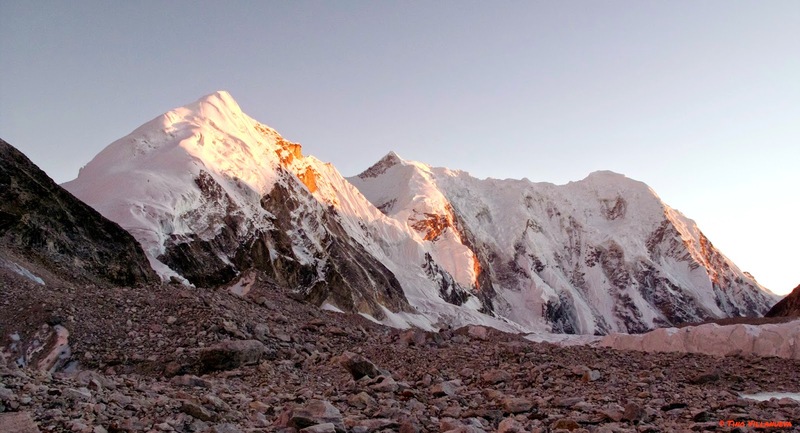 We have made our lives a little easier this time by hiring porters to help bring our equipment all the way into a base camp at nearly 19,000 ft. After a week of trekking, the porters will leave us and we will be alone surrounded by big mountains, largely unexplored, for 27 days. 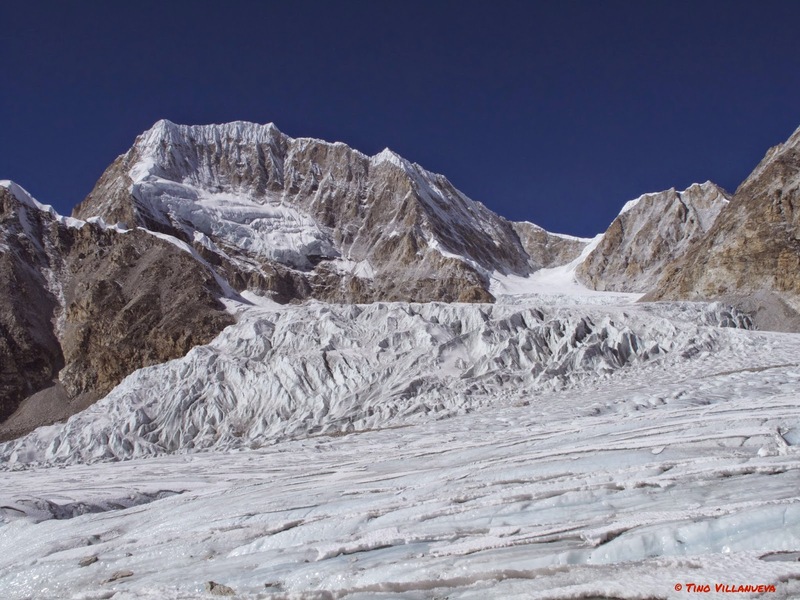 With generous support from our sponsors, Helly Hansen and the Lyman Spitzer Award from the American Alpine Club, we have chosen the West Face of Tengi Ragi Tau as our main objective. Rising 5000 ft in a half-mile to the summit (6948 meters), Alan and I scoped a beautiful line on this peak in 2012. Alan stands below Tengi Ragi Tau's Southwest Walls. Known only as a number, the peak pictured behind Alan has never been climbed. Takargo, yet another mountain barely touched.